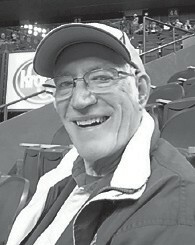 Jack Morgan, 79, of Hazard, formerly of McRoberts, died January 21 at the Greg and Noreen Wells Hospice Center in Hazard. Mr. Morgan was the son of the late Carl and Ethel Brown Morgan, and a brother of the late Martha Yates. He was a cousin of the late Ronald Crosbie. Surviving are his wife, Barbara Burke Morgan; two daughters, Robin Morgan of Pineville, and Cynthia Gooch and husband Chris of Hazard; a sister, Virginia Morgan of McRoberts; Three grandchildren, Whitney Howard and husband Josh, Jonah Gooch and fiancée Hannah Mullis, and Cassidy Gooch; and a greatgrandchild, Lillian Howard. Funeral services for Mr. Morgan were held January 25 at Neon First Church of God. Burial was in the Kenneth B. Gooch Cemetery at Deane. Letcher Funeral Home of Whitesburg had charge of arrangements.